Item number X719.1 from the Brooklyn Museum. Gift or jewel basket with woven design of black and tan. 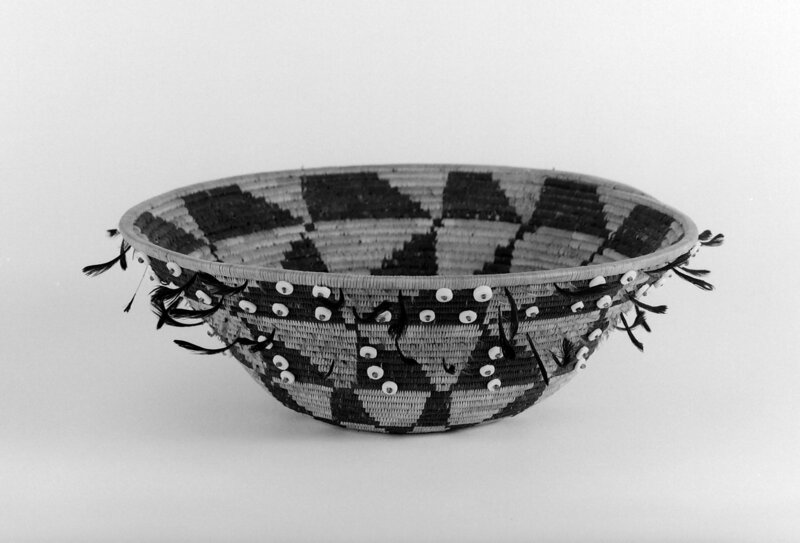 Black and red feathers are ribbed into the weave and white shell beads are sewn into the side of the basket.